beFree Sounds Sleek 8 Inch Professional Portable Bluetooth PA Speaker is a stunning piece of audio technology. This unit offers a clean cut modern yet classical look with metallic corners made to last since you will be getting a lot of use from your chrome colored professional speaker. With the powerful and clear sound offered by this speaker you can rely on it as your sidekick for any public speaking event, social event or gathering. As this is a 2 way speaker, it can be used with other speakers as a main or passive unit once you connect it with a simple AV cable. Please make sure the speaker is charged 8-10 hours for the first time for a full charge. The green light will let you know the battery is fully charged. The red light will turn on indicating the speaker needs to be recharged. Comes equipped with both a Mic and a Guitar Jack, and accepts SD and USB inputs. Hard mounted side handles allow the unit to be carried by just you, or multiple people, while the extendable top handle connected to the rolling back wheels allows the unit to be easily rolled along. 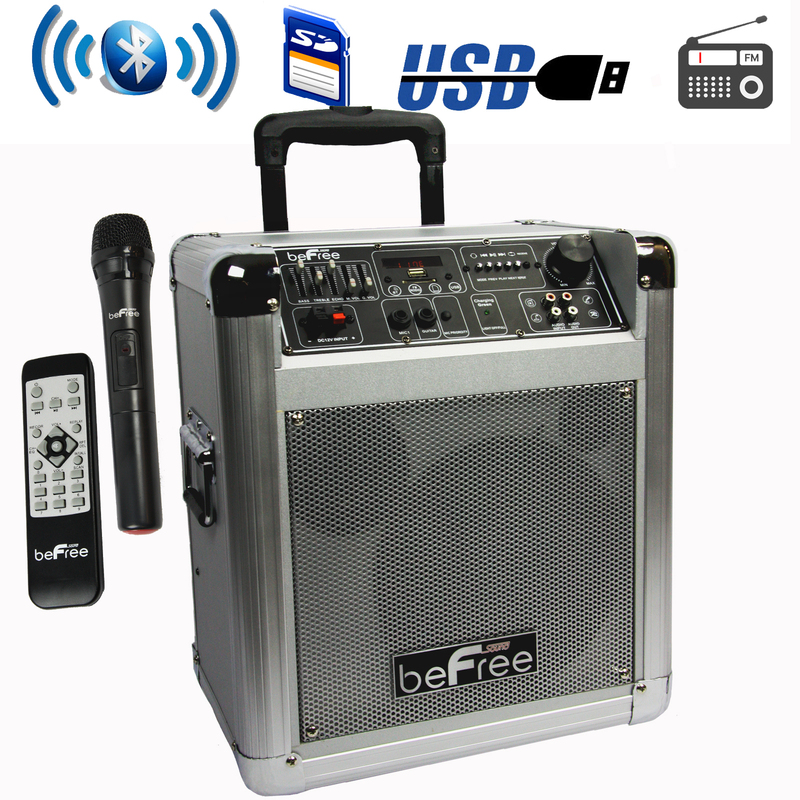 This unit is made to give you the freedom of sound wherever you may need it! Hard Mounted Side Handles 4" x 2.5"